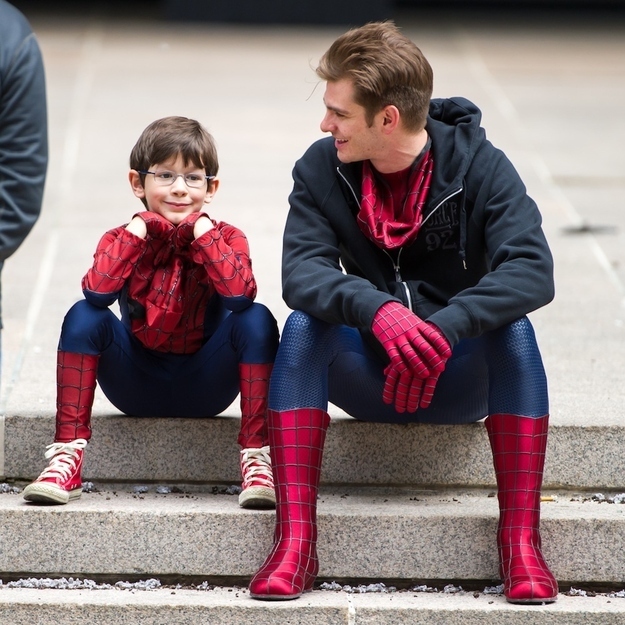 Andrew Garfield had a mini companion on the set of The Amazing Spider Man 2 set yesterday, as he was joined by his young co-star Jorge Vegas. The 29-year-old reprises his role as Peter Parker/Spider-Man in the forthcoming film but this time it looks like he won't be the only one suiting up! 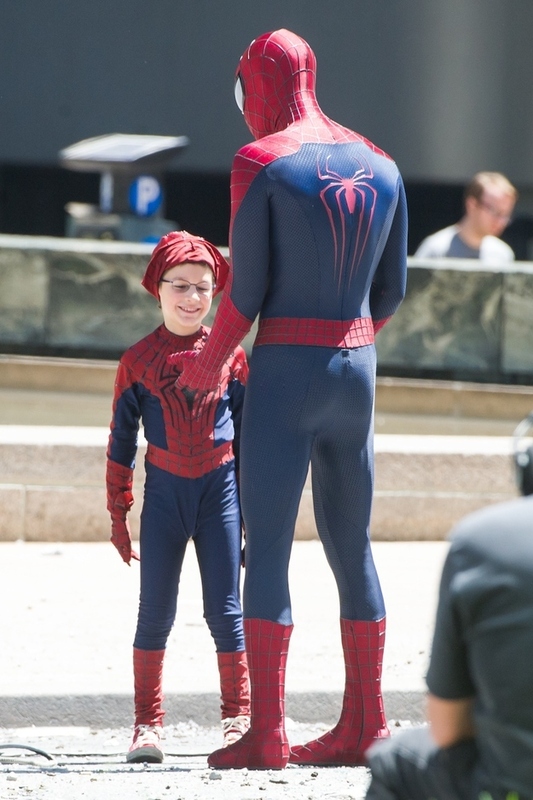 Child star Jorge Vegas was spotted on the set yesterday, filming scenes with Andrew in Manhattan. 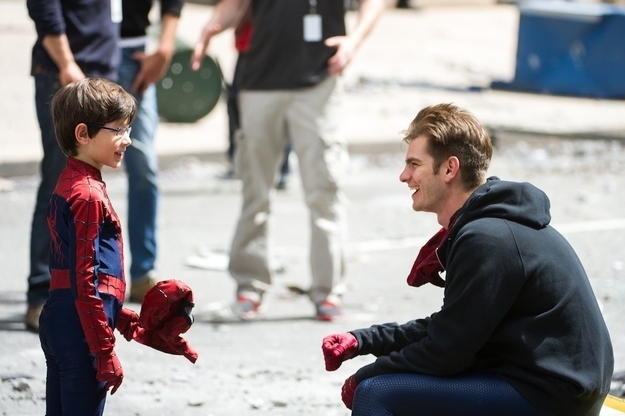 Andrew was seen showing his mini me some of his moves as the two prepared for a few scenes, both dressed in the iconic spidey suit. Whilst Andrew was covered head to toe in his suit though, little Jorge was rocking some mini red converse. 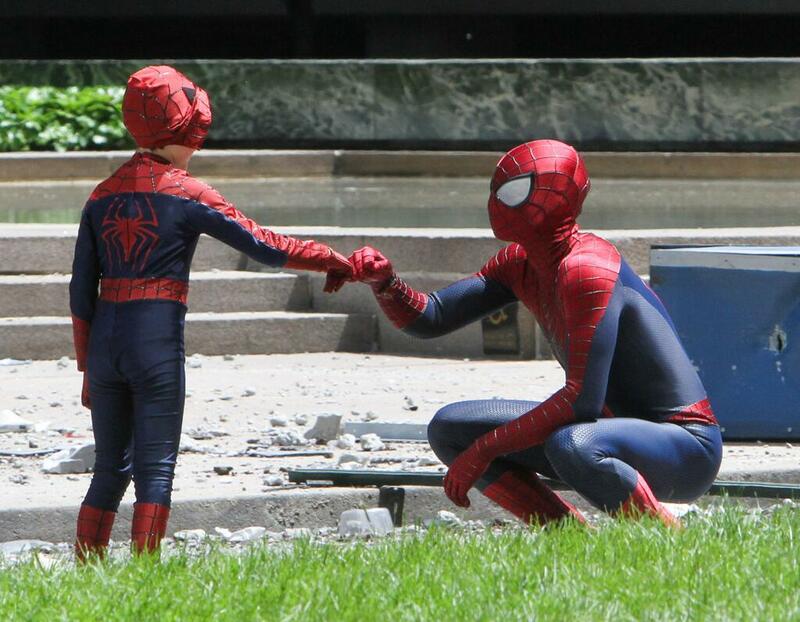 In between shooting their action scnes, the co-stars enjoyed some bonding time in the NYC sunshine. Clearly close mates already, Andrew and Jorge were spotted having a break, pulling off their masks to cool down side by side. 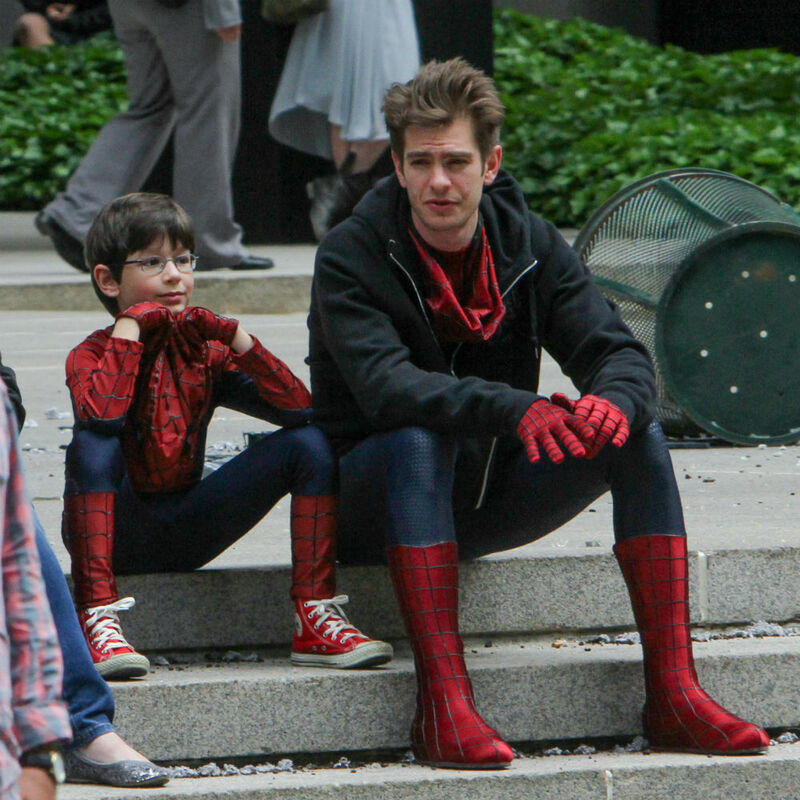 Scheduled for a May 4, 2014 release, we can't wait to see Andrew and Jorge in action when the film hits cinemas!